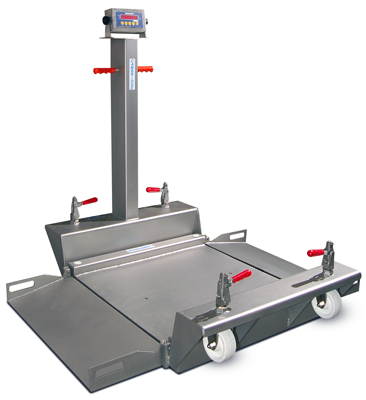 Constructed of structural tubular stainless steel, these scales are designed to handle from 100 to 1,000 lbs. Model SS640-PS features (2) fixed and (2) swivel USDA/FDA approved Aqualite white plastic wheels. 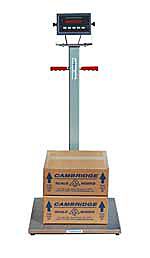 Incorporating all of the accuracy, reliability and strength you have come to expect from Cambridge Scale Works and backed by our one year warranty. Our SS680-P2’s are built for incredible durability and easy transport. 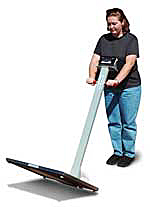 Easy lift wheel jacks make going from transport mode to weighing mode quick and simple. 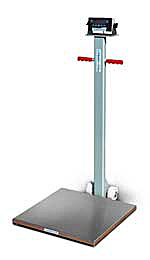 The super strong ramps are built with the same 3/16″ thick stainless steel as the weighing platform and fold back with ease to allow transport through most typical halls and doorways. The 5″ FDA approved plastic wheels roll with ease on even the most irregular factory or laboratory floor. 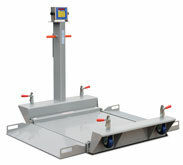 The Model PB-P has capacities of 120 Lb. thru 1200 Lb. with a selection of sizes including 16″ X 16″, 20″ X 20″ and 24″ X 24″.